Hasbro CEO Brian Goldner has announced that more Power Rangers movies are on the way. This is exciting news for Power Rangers fans who have been waiting for any news regarding the superheroes and a possible sequel to last year's movie. The last film did well domestically, but did not fare so well at the worldwide box office, leading to questions about a possible sequel. Those questions regarding whether or not the new movies will continue from the last film still remain, but at least we know that there's more Power Rangers on the way. The announcement was made at the Hasbro Strategic Decisions Conference. 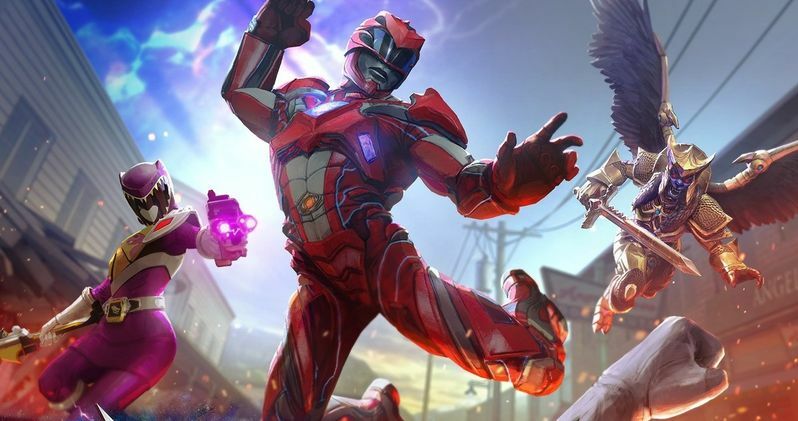 Hasbro acquired the rights to the Power Rangers franchise and other Saban properties in May and many have expected an announcement about another film since then. In addition to a new Power Rangers movie, it was also revealed that there's a lot in the works for the popular franchise. Hasbro CEO Brian Goldner had this to say. "As I mentioned, we've now announced the acquisition of Power Rangers. This is really a great statement about where we believe we are in developing our brand blueprint. The fact that we can acquire Power Rangers brand and plug and play that right into our strategy where we activate it in entertainment, motion pictures in the future and then of course across toys and games and consumer products and do so globally. We felt the brand was very under leveraged and undervalued. We feel we can exploit it to a much greater extent and it was a great opportunity to acquire the brand." As previously noted, Hasbro's acquisition did not initially mention anything about the entertainment aspect of the Power Rangers. Many fans thought that the franchise was dead after the lackluster box office earnings of the Lionsgate reboot. The box office failure of the last movie was puzzling for such a popular franchise, which may have had to do with the Saban aspect. Hasbro has the power to take the property and get it back to where it once was. While there is hope that Hasbro will continue to work with Lionsgate to make a proper sequel to the last Power Rangers movie, it could be pretty complicated. In addition to taking on the Saban properties in May, Hasbro also inked a deal with Paramount Pictures last fall to distribute their movies, which could turn out to be a headache for working with Lionsgate again. However, this is all just speculation at this point. Hasbro may have already taken the proper precautions to dealing with that situation. Hasbro CEO Brian Goldner says that the Power Rangers franchise was "very under leveraged and undervalued," and to a certain extent, that seems true. The proof of that statement will arrive whenever the new Power Rangers movie is announced. Saban could have just really dropped the ball, making the Lionsgate reboot fail. Regardless, it's exciting news for fans in knowing that a new movie will be officially released soon. You can read more about the Power Rangers announcement over at Toku.